Are you a blogger who wants to grow blog subscribers on your WordPress blog? If you’ve just started growing your subscriber base, here are a few tips you need to read before you start. When you set up a system to manage blog subscribers, you need to decide if you want to go with a free or a paid subscription management system. 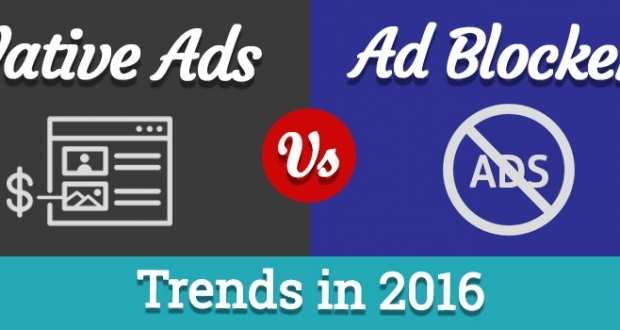 Here are some options to consider even before you start growing a subscriber base. The free Jetpack plugin, which comes with a bunch of awesome functions, also offers a way for visitors to sign up for blog updates. Tom Ewer has a great tutorial on setting up Jetpack email subscriptions. While this sounds great, it suffers from some serious weaknesses because you have no control over your subscribers, you can’t send one-off emails or an autoresponder series and you can’t customize the subscription forms much. Also, if you want to shift to a paid email management system, it will not be possible for you to export your subscribers and move them to a new system. I only recommend using Jetpack if you’re absolutely sure that you only want to send out blog updates and not use your list for any other purpose. Since it’s always free, even if you have millions of subscribers, you won’t have to pay a penny to manage your list. 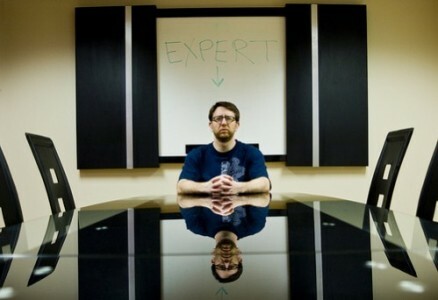 This is a free web feed management provider launched in 2004 and now owned by Google. It requires a Google account to login and allows you to send out email updates to your blog subscribers every time you update your blog, but offers a lot more functionality than Jetpack. 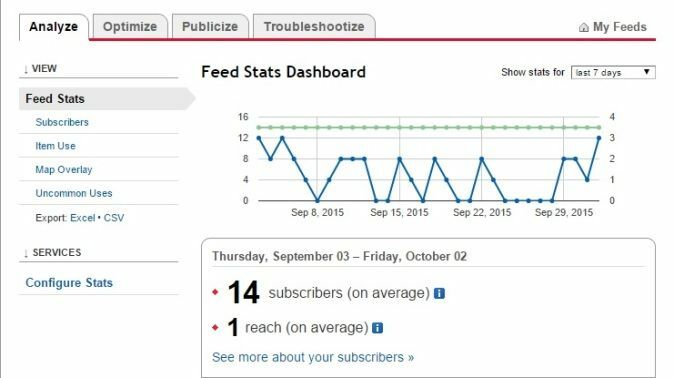 Unlike Jetpack, it offers some stats for your feed, as well as the ability to view and manage the emails of your subscribers. You can also export your subscriber list at any point if you want to shift to another email management system. 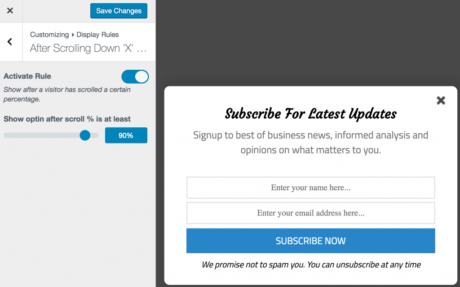 Again, there is not much customization you can make to the subscription forms, but there is a Feedburner Email Subscription plugin that can make it easy to insert a subscription box into your blog sidebar. This popular email management system offers a free trial upto 2000 subscribers. The free trial allows you to setup a list and capture emails, but not to send out an autoresponder sequence. 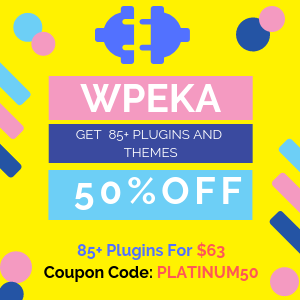 It offers a number of integrations with WordPress, such as the MailChimp for WordPress plugin, that helps you connect with your MailChimp account in just 1 click, and create user-friendly, mobile-optimized sign-up forms. It also allows you to add a checkbox to both the registration and comment forms of your WordPress blog. If you register users on your WordPress site, you can automatically add them to your MailChimp list with the MailChimp Integration plugin. 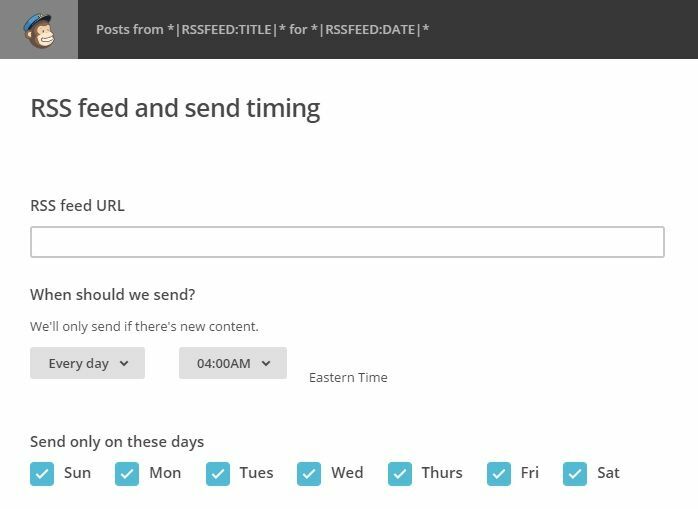 In order to send out blog updates in MailChimp, you need to setup a new RSS campaign and enter your blog RSS feed to start sending out updates automatically every time you publish to your blog. The advantage of professional email management systems like MailChimp is that you can choose to send out updates daily, weekly or even monthly, depending on your preference. 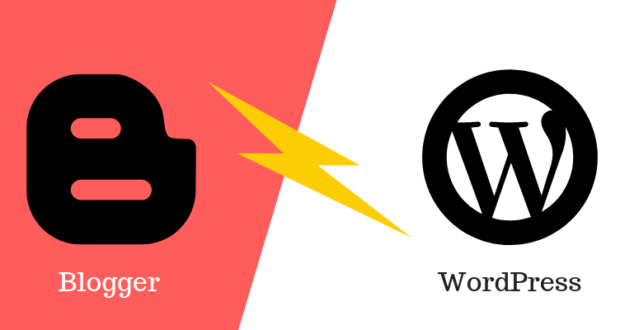 Most WordPress plugins that allow you to build your email list come with Mailchimp integration. This excellent, professional email marketing tool offers a 30-day free trial. It offers all the bells and whistles you could want to build your list, but remember that the bigger the list, the more it costs to store your emails on their server. 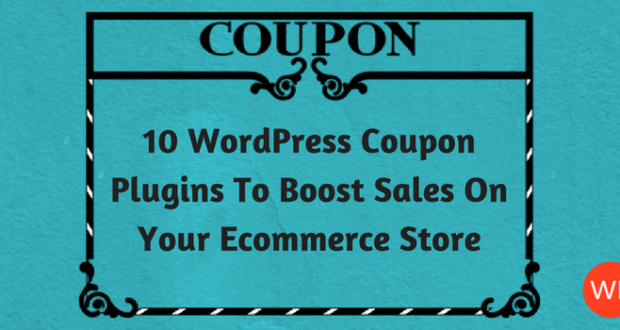 It comes with professional templates, subscription forms, and WordPress integration. 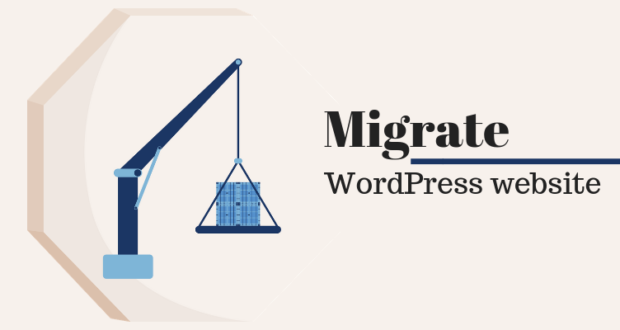 You can migrate an existing list to their server anytime you want, and manage unlimited lists and autoresponder series. Aweber also has an official Aweber web form Widget for WordPress sites. It allows you to install an AWeber web form on your WordPress blog and lets visitors subscribe to your list when commenting or registering on your blog. On your WordPress dashboard, you will be able to see how many people have signed up to your list by commenting. 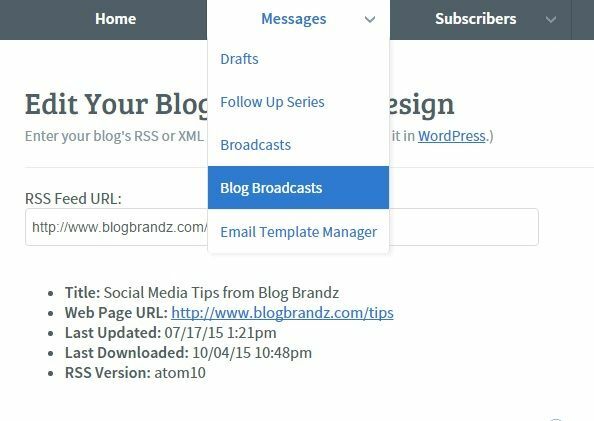 The AWeber Blog Broadcast Feature allows you to setup email broadcasts using your blog RSS feed, so you can send out updates of your blog posts to your subscribers immediately or on a certain day and time, or periodically. You can also create HTML templates customized with your own images and branding to send out your blog updates. Now that I’ve shown you how to manage blog subscribers in your WordPress blog, you need to put some effort into growing your blog subscriber numbers. Of course, just asking them to subscribe to your blog is not going to do it. Besides the usual subscribe box in the sidebar, you need to have an irresistible offer that will give them a reason to signup. A freebie is the best offer you can make, either in the form of a free download, a report, PDF, checklist, video, webinar, discount coupon or free trial of your software. Once you create your irresistible offer, you can use the tips below to capture emails on your WordPress blog. SumoMe is a WordPress plugin that has become very popular because of their elegant floating share bar. 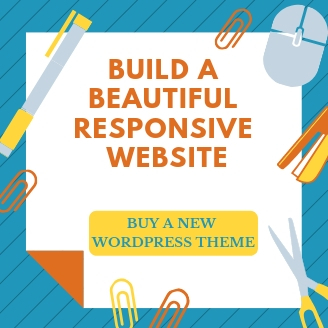 However, they also offer a great function called the Welcome Mat that displays a full-screen call to action that shows when visitors land on your site. The Pro version allows you to change the background of your Welcome Mat to whatever you want (image, GIF, video), add different Mats to different pages, A/B test your Mats, and remove all branding. You can also test different copy, templates, buttons, behavior and more to get more conversions. Slide-ins, also known as scroll boxes allows you to exponentially grow your email list without being annoying and pushy. You can also use it to collect feedback, suggestions or questions from your visitors. Slide-ins can appear at the bottom right or bottom left hand corner of your user’s scroll down your website. It sticks to the user screen thus making it highly noticeable and conversion effective. Timing is everything. If your opt-in form slides in too early, your reader might not yet be willing to subscribe and waiting too long will make you lose out on a new lead. That’s why in MailOptin, the moment your slide-in shows up is completely up to you. You can wait for your visitor to click on a link, to scroll to a certain part of the page or to spend a certain amount of time reading, on exit intent and lots more. MailOptin slide-ins integrates with all the major email marketing service providers such as but not limited to MailChimp, AWeber, Constant Contact, Campaign Monitor, Sendy, MailerLite and more. Slide-ins are perfect for showing a targeted message in the right place, at the right time, to the right audience. Popups and overlays can be annoying, but they can increase blog subscribers by up to 400%, according to eConsultancy. 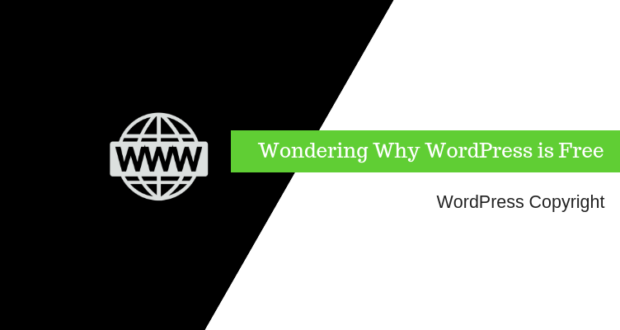 Although they are a very effective way to boost subscriptions on your WordPress blog, they can turn off your visitors if not done right. A Smart Lightbox Popup that shows at a certain time, either when your visitor just lands or is about to exit your site, can boost subscriptions without turning visitors off. 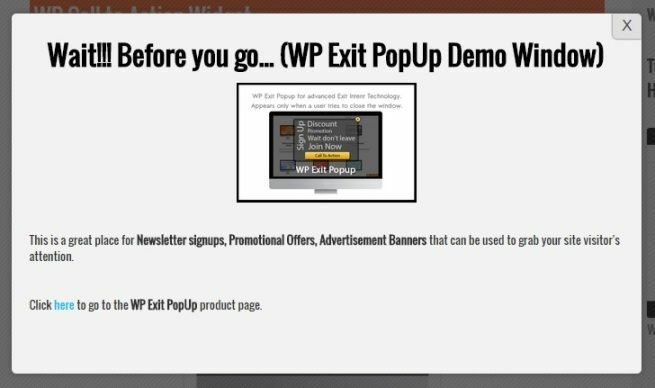 WordPress plugins like MailOptin, OptinMonster, WordPress PopUp, WordPress Exit Pop, Yeloni Exit Popup, WP Exit PopUp WordPress Plugin and PopupAlly, will all allow you to create attractive lightbox popups to help you increase blog subscribers. The Optin Forms plugin allows you to add an offer at the end of your posts or after the first or second paragraphs, when subscribers have been reading your content and are more likely to want updates to your blog. The Optin Lock plugin takes it further, by allowing you to lock your content behind an optin form and serve your premium content to subscribers only. 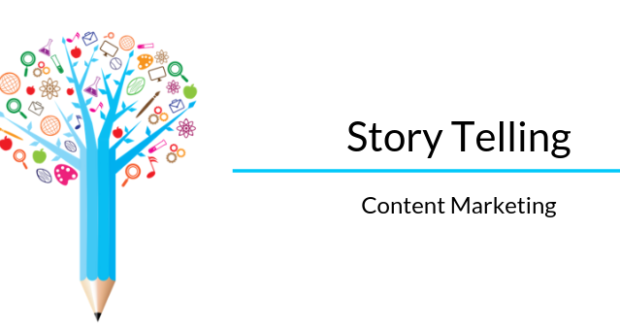 It also enables you to create multiple in-content lead magnets, so you can customize your offers to your content. It also integrates with both MailChimp and Aweber. 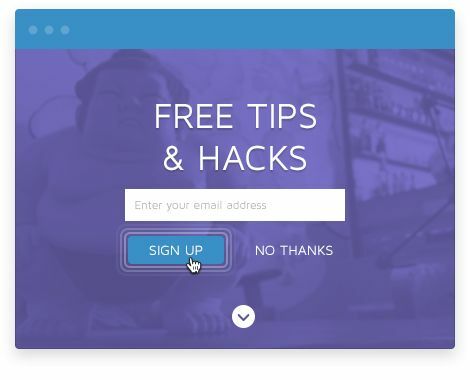 Apart from native opt-in forms from mail service providers, and along with tools like MailOptin, SumoMe, MailMunch, OptinMonster, you can make use of even more ways to nudge your visitors to join your email list. 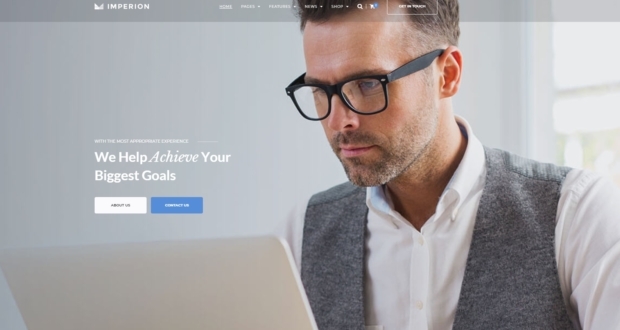 Brian Dean uses “Content Upgrades”, which are special checklists customized for each blog post, to increase conversions and grow his blog subscribers. He recommends using a yellow box, as above, on your site, so that you maximize the number of clicks and opt-ins that you generate from your Content Upgrade. You can access the code he uses to create a yellow box on the page here. A “sticky” footer bar can host a message and call to action that takes visitors to a landing or squeeze page where they can subscribe to your blog. Plugins like Quick Notice Bar and WordPress Notification Bar will help you create a sticky footer bar in WordPress, in a number of languages. If you want a basic HTML/CSS tutorial on how to create a sticky floating footer bar in WordPress without using a plugin, go here. This free Call to Action WordPress plugin lets you place your CTAs within posts, pages and widget areas. It supports images, multiple button types and several alignment options. A very effective way of capturing subscribers is by creating a special landing page or multiple landing pages with your irresistible offer and subscription form. Creating multiple landing pages allows you to split test your offer, headline, page copy and subscription form elements such as submit buttons and colours, so you can use the combination of elements that converts best. LeadPages is a plugin recommended by Brian Dean, that he uses to create customized offers for different blog posts. 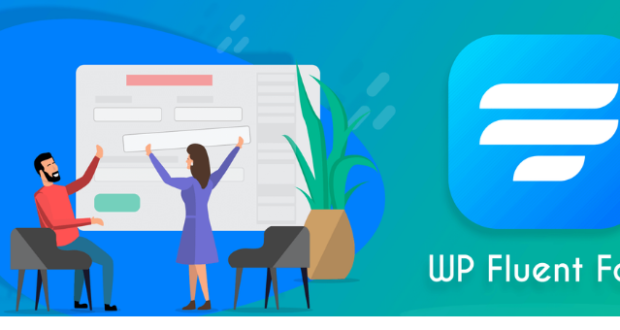 WordPress Landing Pages is a free plugin that allows you to monitor and improve conversion rates, run A/B split tests, customize your own templates and more. The Ultimate Landing Page plugin has a powerful landing page builder that lets you create beautiful and high converting landing pages with built in MailChimp subscribe forms. I hope these tips will help you manage and grow blog subscribers on your WordPress blog. Did you find these tips useful? Do let me know in the comments below.